Cancer is one of the most challenging diseases and lung cancer is regarded as the second most common cancer and the leading cause of cancer death anywhere in the world. 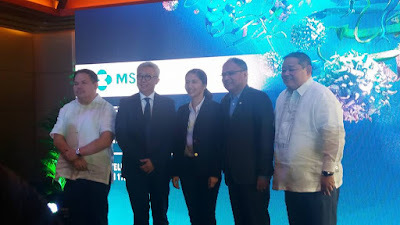 The spark of hope has never been brighter for Filipino patients with advanced stages of lung cancer and melanoma as MSD Oncology introduces immunotherapy, one of the most innovative cancer treatment methods to date. One type of immunotherapy called immune checkpoint inhibitors is a form of cancer treatment that prevents the interaction between the immune system’s T-cells and the tumors. When tumors and T-cells interact, a protein found in the tumor called the Programmed Death-Ligand 1 (PD-L1) deactivates T-cells so they become incapable of recognizing and destroying cancer cells. Through immunotherapy, this interaction is blocked so that T-cells can detect and ward off the cancer cells. Pembrolizumab allows the immune system to recognize and attack tumor cells. Pembrolizumab targets PD-1 on immune system cells, one of a family of so-called checkpoint proteins that can restrain the immune response. Pembrolizumab (Keytruda®, Merck & Co) has been granted approval by the US Food and Drug Administration (FDA) in 2014 for use in lung cancer, becoming the second immunotherapy available for this tumor type. The first immunotherapy for lung cancer to attain approval was nivolumab (Opdivo®, Bristol-Myers Squibb). In the Philippines, the anti PD-L1 immunotherapy drug Pembrolizumab received approval from the Food and Drug Administration (FDA) for the treatment of advanced or metastatic lung cancer and melanoma after failing first-line treatment. It has shown activity in a growing number of cancers and now have been approved for melanoma and non-small cell lung cancer. The accelerated approval is for use in patients with advanced non–small cell lung cancer (NSCLC) across all histologies whose disease has progressed on or after platinum-containing chemotherapy, as well as a targeted agent in epidermal growth factor receptor– or anaplastic lymphoma kinase–positive patients. The PD-1 inhibitor was approved along with a companion diagnostic, the PD-L1 IHC 22C3 pharmDx test, which is the first test designed to detect PD-L1 expression in non–small cell lung tumors. KEYTRUDA is indicated at a dose of 2 mg/kg administered as an intravenous infusion over 30 minutes every three weeks for the treatment of patients with metastatic non-small cell lung cancer (NSCLC) whose tumors express PD-L1 as determined by an FDA-approved test with disease progression on or after platinum-containing chemotherapy. Patients with EGFR or ALK genomic tumor aberrations should have disease progression on FDA-approved therapy for these aberrations prior to receiving KEYTRUDA. KEYTRUDA is also indicated for the treatment of patients with unresectable or metastatic melanoma and disease progression following ipilimumab and, if BRAF V600 mutation positive, a BRAF inhibitor. 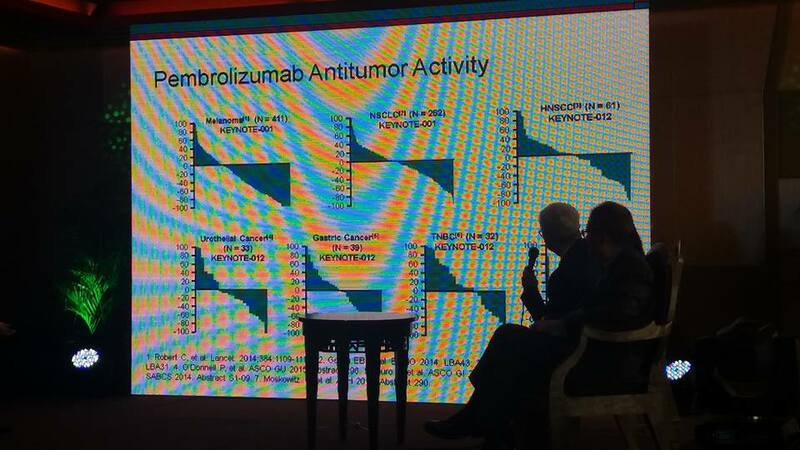 These indications are approved under accelerated approval based on tumor response rate and durability of response. Clinical trials also showed that Pembrolizumab has superior anticancer activity in patients with advanced melanoma who failed previous therapies. In terms of safety profile, Pembrolizumab showed a lower incidence of treatment-related adverse events compared to chemotherapy. . The expression of a certain biomarker in patients’ tumors played an important role in their response to Pembrolizumab. Biomarkers are proteins found in a patient’s tissue, blood or fluids that can help determine the outcome of a patient’s disease or response to medication. Clinical trials have shown that if a patients’ tumors express the biomarker Programmed Death Ligand-1 (PD-L1), patients are more likely to have a better response to the drug. “Addressing the rising incidence of cancer is indeed a tough road to embark on. 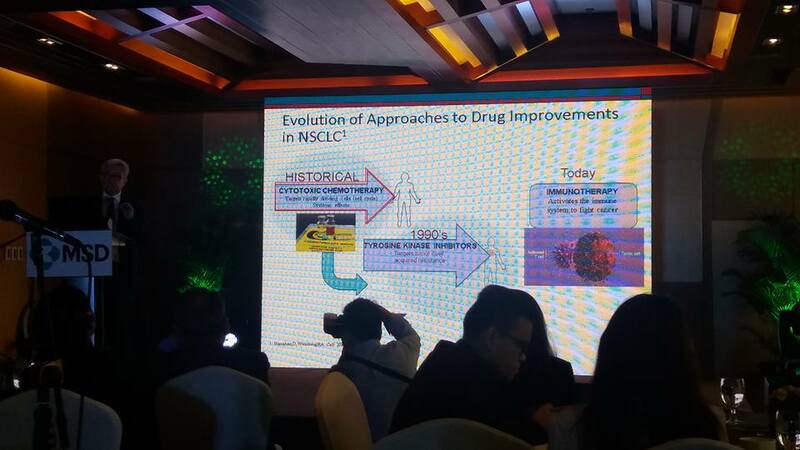 MSD has been dedicating its resources to developing innovative oncology medicines. Pembrolizumab propelled our research efforts to understand of the role of the immune system and the PD-L1 pathway in cancer treatment” said Dr. Beaver Tamesis, President and Managing Director of MSD in the Philippines. MSD, known as Merck (NYSE:MRK) in the United States and Canada, is a global healthcare leader working to help the world be well. Merck is known as MSD outside the United States and Canada. Through its prescription medicines, vaccines, biologic therapies and animal health products, they work with customers and operate in more than 140 countries to deliver innovative health solutions. It translates breakthrough science into innovative oncology medicines to help people with cancer worldwide. At MSD Oncology, helping people fight cancer is their passion and supporting accessibility to cancer medicines is their commitment. 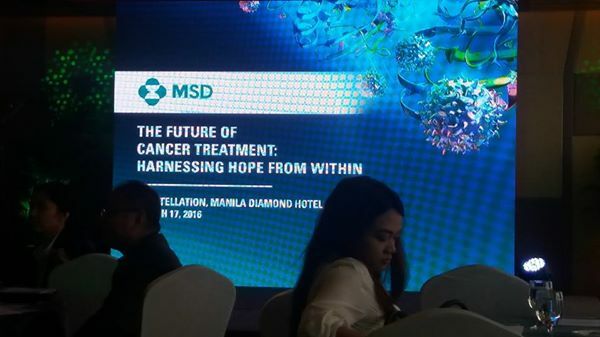 MSD Oncology focuses on pursuing research in immuno-oncology to bring new hope to people with cancer worldwide. Harnessing immune mechanisms to fight cancer is the priority focus of its oncology research and development program.